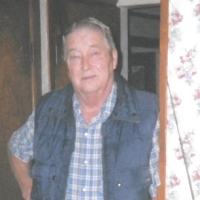 Mr. Tony Hunter Fyke age 76 of Olmstead, KY passed away Saturday March 30, 2019 7:25 a.m. at Hearthstone Place in Elkton, KY of natural causes. Services will be Tuesday April 2, 2019 11:00 A.M. at Latham Funeral Home in Elkton,KY with Rev. Jeff DeMatties and Mr. Brent Spurlin officiating. Burial will follow in the Belmont Cemetery in Allensville, KY. Visitation will be Monday April 1, 2019 from 5:00 to 8:00 p.m. at Latham Funeral Home. Mr. Fyke was born in Springfield, TN March 16, 1943 the son of Faye Atkins Fyke and the late John Phillip Fyke. He was the Owner-Operator of A-1 Auto Parts in Elkton from 1983 till 2002. He was currently employed at Food Giant Grocery in Elkton since 2002. He was a U.S. Army veteran of the Vietnam War. Besides his mom he is survived by his wife of 34 years Ruth Fyke of Olmstead, KY, his daughters Tracy Ann Kasperitis and her husband Chris of Levittown, PA, and Becky Bagby and her husband Denton of Olmstead, KY, his step daughter Brenda Spade and her husband Ron of Dothan, AL, his step son Gary Barnes and his wife Pam of Pennsicola, FL, his sisters Judy M. England of Springfield, TN and Nancy Horton of Russellville, KY, 9 Grandchidlren and 10 Great Grandchildren.